We are happy to greet you on the official web-site of The Domkins & Partners Law Bureau. The leading focus of our law practice is the provision of legal services to foreign customers related to the protection of their lawful rights in Russia in accordance with the relevant international and Russian law. Our attorneys provide the full range of legal services to foreign companies, specializing in commercial litigation, tax consulting and dispute resolution in the areas of intellectual property rights, copyright and other areas of law. As to individuals, the attorneys of the Bureau will be honored to offer legal services related to the protection of their lawful interests in the areas of criminal, administrative, family, labor and other branches of law, as well as in defending their honor and dignity. Lawful interests of our clients are the constant preoccupation of our attorneys. Experience obtained in the sphere of work for foreign customers enables the attorneys of the Bureau to resolve the most legally difficult cases remotely. We provide our clients with legal advice of superior quality meeting all the requirements of international standards. We achieve the goals set before us as a single team wherein each attorney fulfills his/her potential by applying his/her professional knowledge. The Domkins & Partners Law Bureau is a young and energetic group of attorneys, which bases its practice of law on the best traditions of the world-wide institution of advocacy and dictating new modern tendencies on the Russian market of legal services. The working languages of the Bureau attorneys are English and Russian, and if need be, the attorneys of the Bureau can communicate with their clients in other languages too. Organization and provision of active and guaranteed defence of rights, freedoms and legal interests of the Client in combination with highly qualified fulfillment of entered engagements by the Bar Association. Building-up business activities based on strict compliance with the Professional Code of Ethics, observance of advocate secrets and support of advocateship institution traditions. Combination of accumulated experience and professional best practices of lawyers-partners upon accomplishment of objective in the interests of the Client. Consolidation of lawyers-partners’ efforts in rendering of legal aid to the Client, understanding of its legal problem, respect of interests and compliance with strict reporting rules. The cornerstone of the Bureau is its lawyers, whose activities are licensed in accordance with the requirements of the national law, which distinguishes us from some other law firms. The central office of the company is located in Moscow (Russia). 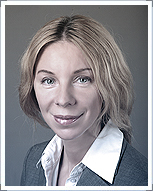 The Bureau provides legal services to the interested non-resident companies and individuals both in the territory of the Moscow Region and in all the federal subjects of the Russian Federation by way of personal participation in the client’s affairs and by engaging partners from the respective regions. 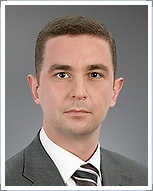 The form of professional organization, namely law firm (“advokatskoye buro” – the bureau of attorneys at-law), by virtue of Federal Law of Russia “On attorneys at-law and attorney at-law activities in the Russian Federation", obliges us to protect the interests of the client by means of uniting common professional efforts of the partner attorneys. Your lawful interests are defended by a single united professional team rather than a separate attorney or lawyer, which is an additional guarantee of proper and high-quality performance of legal services. In finding solutions to legal questions, The Domkins & Partners Law Bureau profess an integrated approach that includes the use of professional innovations enabling our clients to get access to legal defense and significantly reduce monetary and time expenditures. Our Bureau has accumulated significant experience of remote communications with our clients, and of prompt and effective interaction and successful resolution of legal issues entrusted to us. © 2003-2012. The Domkins & Partners Law Bureau. All Rights Reserved.